The Bay Area carries a unique magnetic attraction for those around the globe seeking their futures and fortunes. We are home to incredible universities, businesses, sports teams, social movements, cultural venues and endless opportunities. Often what starts in the Bay Area ripples out to affect the rest of the world. We have influence and we have affluence. Our eleven counties and 256 cities & towns have one of the highest per capita incomes of any area on the face of the earth. We also have our challenges; in spite of our affluence, 22 percent of people in the Bay Area live below the poverty line. Although we have amazing teachers and educators, 51 percent of our 3rd graders cannot read at 3rd-grade level. Of the nearly 8 million people in the Bay Area’s eleven counties (we include Santa Cruz and Monterey County), close to 5 million are un-churched or have no religious affiliation whatsoever. Within our faith communities, many churches live a siloed and isolated existence, which greatly diminishes our potential collective impact. In 2013 several leaders from the faith, business, and tech communities began to gather and dream about how people of faith could work together to make life better for every person in the Bay Area—physically, educationally, relationally and spiritually. The outcome became Transforming the Bay with Christ (TBC). We are just beginning but we’re filled with the hope of “what could be” as we dream and work together. We invite you to join us by bringing your passion and talents to make life better for every person in the Bay Area. Mike is an influential leader known for his strong commitment to inspiring life and community transformation in the areas of social justice and faith. He encourages faith leaders to engage in robust solutions for their cities most pressing issues. He thrives in innovating systemic change models, quantifying outcomes and scaling operations. Veronica joined the TBC team in November of 2016. She thrives on seeing those around her begin to realize and move into their strengths. She believes that real transformation happens when ordinary individuals are actively using their unique strengths and talents and is passionate about challenging those around her to explore those unique traits. Pat has been the CEO of VMware, Inc. since September 1, 2012. Mr. Gelsinger has more than 30 years of experience in general management and product development positions. He served as the President, Chief Operating Officer and President of Information Infrastructure Product at VMware, Inc. since September 2009. 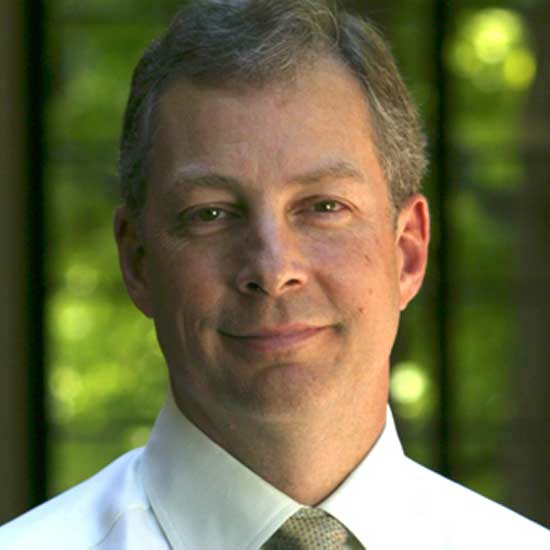 Kevin joined Kleiner Perkins Caufield & Byers in 1990. Since joining KPCB, Kevin's investments have focused on enterprise software and the telecommunications industry. Kevin is a Co-founder and Partner at Radar Partners. He currently serves on the Board of Directors of two public companies, Citrix Systems and VeriSign. Steve joined WestGate Church as Lead Pastor in 2001. After receiving his Graduate Degree from Dallas Theological Seminary, he served as an Associate Pastor, Youth Pastor and Worship Pastor prior to serving at WestGate. Steve has been known to say, “I’m not what I ought to be, but thank God I am not what I used to be." Gary serves as lead pastor of Peninsula Covenant Church in Redwood City, California, a position he has held since 2003. Before transitioning into this role, he worked for twenty-one years in student and family ministries. Kevin Palau is president of the Luis Palau Association, a Portland, Oregon based ministry that has shared the Good News of Jesus Christ with 1 billion people around the world through Kevin’s father, evangelist Luis Palau. Sushil has a professional background in finance, business administration and non-profit fundraising. She is passionate about the mission of TBC to set aside denominational differences and work with city and business leaders to build the community through unity, compassion and service. Currently her volunteer agenda includes serving the homeless and participating in leadership at BSF ( Bible Study Fellowship). Sushil and her husband have been married for 30 years and have three adult children. Jerry received a PhD in electrical engineering from the University of Arizona and worked for large, publicly-traded companies in the Silicon Valley until he founded his own early-stage venture capital firm with two other partners. During his 20+ years in the venture capital industry, he has served on the boards of multiple startup companies. He has also served in his local church co-leading Life Groups, supporting such programs as the Adopt-A-Teacher program in East Palo Alto, and in traveling to Argentina and Brazil to provide guidance to ministries there. Du is a Managing Director at Horsley Bridge Partners Inc. He joined Horsley Bridge in 2011 and is also a member of the investment team there. Previously, Du spent 10 years as Managing Director, Private Investments and Real Assets at Northwestern University. He holds a BA in Economics from Northwestern University and an MBA from the Kellogg School of Management. Du has a passion for anything related to Northwestern University sports. Jeff has served as a ministry and business executive in the Bay Area for 20+ years. He is the CEO of the Financial Administrative Support Services in San Jose, which outsources accounting for 80+ nonprofits. Jeff served as a founding Board Member and CFO for TBC. He has driven results in executive leadership at Indian Health Center of Santa Clara Valley, Cityteam Ministries, Venture Christian Church, William Jessup University and entrepreneurial ventures in software, medical devices and information technology. Jeff received his MBA from the Kellogg School of Management at Northwestern University. Bill is a technologist in large-scale computing and networking systems with general management experience. His career in computer science spans more than two decades. He began his post-graduate career starting with individual research contributions in computational science and engineering and computer systems. Bill helped to create and guide the development of numerous distributed systems, IP security projects, and applications of modeling and formal verification methods as well as converged network software. More recently, he has contributed to large-scale Web service systems and products as well as client software. He serves as an investor and coach for developing companies. Pastor Hurmon is a native of San Francisco, but he was raised in Coushatta, Louisiana. earned his B.A. in Philosophy and History from Grambling State University and his Master of Divinity from San Francisco Theological Seminary. For seventeen years, Pastor Hurmon served as Senior Pastor of Roxbury Presbyterian Church in Boston, MA. In 1998, Pastor Hurmon helped found the Greater Boston Interfaith Organization. In 2011, he returned to the Bay Area and served as the Teaching Pastor of Abundant Life Christian Fellowship (ACLF) in Mountain View for 2 years. Following his tenure at ALCF, he led the birthing of New Beginnings Community Church in April 2014, where we passionately serves as Senior Pastor. Valerie serves as CEO for RealOptions Pregnancy Medical Clinics. She began her work with RealOptions in 1989 when she graduated from Faith Bible College serving as a volunteer Client Advocate. Valerie also served as a Church Ambassador and a HOPE Bible Study Facilitator serving women suffering from past abortions. In 2007, she answered God’s call to serve RealOptions full time as their Executive Director and was named CEO in 2010. Together with a staff of 28 employees and over 100 volunteers, she oversees four pregnancy medical clinics and various outreach programs serving high schools, college campuses, and the communities in Santa Clara and Alameda Counties. Lance is the founder and CEO of Payzone Systems Inc., a MSP of Elavon Inc., a global leader in payment processing. Payzone offers card processing solutions in the US, Europe, Asia, and China. Previously, Lance held executive management positions with Heartland Payment Systems where he built a card portfolio processing $4 billion in annualized Visa/MasterCard volume. Prior to his work in the payments industry, Lance worked in commercial real estate. Lance serves as the executive director of the Christian Entrepreneurs Association (CEA). Henry is a Managing Principal at Sovereign's Capital LLC, a private equity fund focused on making investments in Indonesia and the US, particularly in the IT, Healthcare and Consumer Goods/Services industries. Sovereign's invests in leaders whose faith and values create a workplace culture that is about business excellence and community citizenship. Henry Kaestner is also the Co-Founder and Chairman of the Board at Bandwidth.com, a 420 employee telecommunications firm serving the business market based in North Carolina. The company was the fourth fastest growing privately held company in the country during the 5 years of 2003 through 2007 according to INC Magazine's INC 500. The company's values are faith, family, work and fitness (in that order). Larry is a partner at Mayer Brown LLP, in Palo Alto, CA, where he advises clients in all matters to tax controversy, planning, and tax strategy. From 1999-2003, Larry served as commissioner of the Large and Mid-Size Business Division within the IRS. Prior to the IRS, Larry was the VP of Tax, Licensing, and Customs at Hewlett-Packard for 21 years. Larry is currently an elder-at-large at Menlo Park Presbyterian Church, and sits on several non-profit boards, including Fuller Theological Seminary, Church of the Pioneers Foundation, and Intervarsity Christian Fellowship, USA. Kirk is Google’s president of brand solutions. Perry was formerly president of global family care for the Procter & Gamble Company. He was with the company since he graduated from UC in 1990 with a BBA in finance and marketing. He started his career with P&G in marketing and became a general manager in 2001. He, along with his family, endows a scholarship for Carl H. Linder Honors-PLUS program and, until recently, served as the leader of the P&G UC recruiting team. Perry and his wife Jacki have four childrenOutside of work and family, he serves on the national board of the March of Dimes and the Citylink foundation as well as coaches youth sports. Lip-Bu has served as President and CEO of Cadence Design Systems, Inc. He also serves as chairman of Walden International, a venture capital firm he founded in 1987. Prior to founding Walden, Tan was Vice President at Chappell & Co. and held management positions at EDS Nuclear and ECHO Energy. He is Co-Chairman of the Board of Directors of the Electronic System Design Alliance (ESD Alliance) and serves on the board of Global Semiconductor Association (GSA), as well as the boards of Ambarella Inc., Hewlett Packard Enterprise Co., and Semiconductor Manufacturing International Corp. He also serves on the Board of Trustees and the School of Engineering Dean’s Council at Carnegie Mellon University (CMU). Tan received an M.S. in nuclear engineering from the Massachusetts Institute of Technology, an MBA from the University of San Francisco, and a B.S. from Nanyang University in Singapore. Anthony is the VP of Marketing at Gainsight, building and leading the Customer Success Industry. Gainsight has been recognized by Inc. Magazing as the 48th fastest growing private company in America (2015), by Forbes as one of America’s Most Promising Companies (2014), and by Fortune Magazine as one of the Great Workplaces in Tech (2014). Anthony began his career as an early employee at Box. He later joined LiveOffice, a leading cloud-based email archiving and eDiscovery company, and managed their OEM partnership with Symantec from contract signature to acquisition for $115M. Prior to joining Gainsight, Anthony led the Emerging Cloud Products division at Symantec, and was responsible for the first organic product development effort that spanned both consumer and enterprise market segments. Steve is the Lead Pastor of Cornerstone Fellowship. Steve went to Bethany University, Fuller Seminary, and New College Berkeley. He has been in vocational ministry since 1979. Cornerstone began in 1992 as a home bible study at the Madsen’s. Steve is best known for his straightforward method of Biblical teaching which combines truth, humor and practical applications. Sanjay is the COO of VMWare. He passionate about being a “Daniel in the Workplace” and is frequently asked to talk in church and business settings about Christian values in the marketplace. He is an elder at Abundant Life Christian Fellowship, where he has been a member of since 1999. Sanjay and his wife, Katherine, have been married for over 10 years and have three children. Sanjay’s father, Zac Poonen, has been one of the more well-known preachers/teachers in India, having planted over 100 churches in his 50 years of ministry. Roger is the Lead Pastor of Valley Christian Center in Dublin, California, and founder of CityServe of the Tri-valley, a serving organization comprised of 22 churches serving 35 non-profits in our three cities exceeding one hundred and twenty-five thousand service hours. In 1995, he left his engineering career and traveled to Gordon-Conwell Theological Seminary in South Hamilton, Massachusetts, to prepare for the pastorate. He received both his Masters of Divinity degree and his Doctorate in Preaching. In 2001, he became licensed as an Assembly of God minister, and in 2003, became ordained. Dr. Kim is the executive pastor and has served as elder at Jubilee Christian Center since 1986. He is also Managing Partner of Parakletos Ventures with investments in the US, China, India, and Korea. He was the first venture investor in Silicon Image, Inc. Dr. Kim is past Chairman of the board and Founding Investor of GCT Semiconductor, Inc. Early in his career, he was a youth, then founded the Kim Law Firm in Silicon Valley. Additionally, Dr. Kim served on the Board of the Living Stones Foundation and on President George W. Bush’s National High Tech Advisory Committee. He also serves as Executive Director of Church Growth International. John is an author, speaker and the senior pastor of Menlo Church in the San Francisco Bay Area. His books include, All the Places to Go, Soul Keeping, Who is This Man?, The Life You’ve Always Wanted, and Faith and Doubt. John teaches around the world at conferences and churches. Born and raised in Rockford, Illinois, John graduated from Wheaton College and holds a Master of Divinity and doctorate degree in clinical psychology from Fuller Seminary. Prior to joining MPPC, John served as teaching pastor at Chicago’s Willow Creek Community Church. John is a member of the Board of Trustees at Fuller Seminary, serves on the board for the Dallas Willard Center for Spiritual Formation, and is a former board member of Christianity Today International. Tess has been New Door Ventures’ CEO since 2003. Under her leadership, New Door has provided over 1,000 jobs to disconnected 16-to-24-year-old youth, with over 90% of graduates still connected to next jobs and/or further education six months later. New Door has won numerous awards including the Bank of America Neighborhood Builder’s Award in 2010 and a Google Impact award in 2014. Tess began her career as a brand assistant at Procter & Gamble and spent 20 years in the personal computing industry, where she is best known for having co-created the first presentation software, Harvard Graphics. She has held positions of business unit general manager, vice president of marketing, and principal of her own management consulting firm. She has also served on the Elder Board of Menlo Church and several other nonprofit boards. Skip has over 30 years of experience in leadership positions for Silicon Valley technology companies. In 1979, he served as the VP of Operations with VisiCorp, the provider of the industry’s first spreadsheet, VisiCalc, and a pioneer during the personal computer revolution. Most recently, he served as President and CEO of Applied Weather Technology. Skip’s other experience includes CEO of Communications Solutions, Inc., division general manager for 3Com, and co-founder and CEO of The Saratoga Group. In addition to writing, he currently works as a principal consultant with the executive mentoring firm, Korora Partners. Skip earned a BA in economics with honors from Harvard and an MBA with honors from the Boston University School of Management. Brittany Kennada is a fashion and media entrepreneur currently pursuing her Masters in Fashion Design at the Academy of Art University in San Francisco. As the former Miss Arizona USA 2011, Brittany was able to marry her dedication to fashion with her training in broadcast news, all while serving as a passionate advocate for young women. Brittany served as the TV host and official spokesperson for Phoenix Fashion Week, and in 2014, founded her own media company called EventureTV to provide event video services for companies like Google, TIBCO and Gainsight. Beyond her career pursuits, Brittany is on the Speakers Bureau of Street Light USA, an organization that rescues and rehabilitates victims of trafficking and brings them from trauma to triumph. Elbert is a native of Vancouver, Canada but has lived in the San Francisco, Bay Area for the past seventeen years. Elbert has a diverse background in ministry, philanthropy, and business.. Most recently, his work related experience has included being Executive Director for seven years for a private family foundation, VP of Business Development for Trov, and currently President of Northern California National Christian Foundation. Danny Kim is a Microsoft MVP and recognized industry expert on Windows, Enterprise Security, Active Directory, Datacenter Automation, and Cloud Computing. Danny has helped more than 30 Fortune 100 companies, including Bank of America, Boeing, and Wal-Mart, design and deploy their Security Policy, Datacenter, and Cloud based infrastructures. He has also architected and developed several leading cloud security management products which have been licensed by Microsoft, NetIQ, Citrix, HP, Sony, Toshiba and others. Danny holds a BS in Computer Science from Cornell University. Reverend Thomas W. Wilson, Jr.
Tom serves as Associate Pastor at the First Baptist Church in Pittsburg, CA where he leads the Evangelism and Christian Education ministries. He is also a member of the Board of Directors for First Place for Youth which is an award winning nonprofit that serves youth aging out of Foster Care. In 2013 Tom retired from PricewaterhouseCoopers (PwC) where he served as a Senior Managing Director for 9 years specializing in tax controversy for Fortune 1000 corporations. For the 13 years prior to PwC, he was an executive in the IRS including holding the position of Assistant Commissioner (Examination) in Washington, D.C. and recipient of the Meritorious Executive Service Award from the President of the United States in 2001. Reverend Wilson holds a BS in Accounting from the University of Nevada at Las Vegas and an MA in Biblical Counseling from Trinity Theological Seminary. He completed the Executive Program in Organizational Change at Stanford Graduate School of Business.